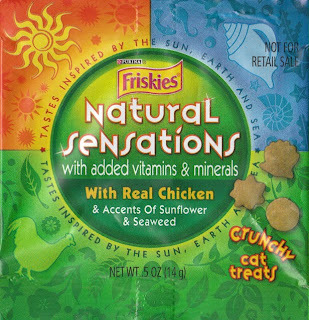 I found this sample packet of cat treats in a bag of cat food. I'm not too sure I like the idea of "inspired" and "accented" cat food. Especially this stuff, which smells like crap.